ToyotaToyota will design the e-Palette with input from companies like Amazon, Didi, Mazda, Pizza Hut, and Uber. Toyota revealed a self-driving concept vehicle, the e-Palette, at the International Consumer Electronics Show (CES) on Monday. 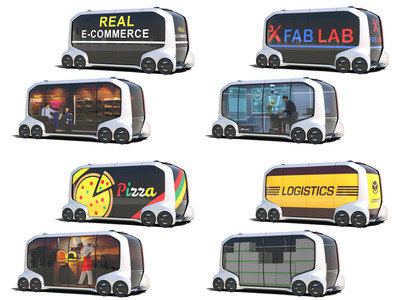 The vehicle will come in three sizes and is designed to be used for a variety of purposes, including freight and package delivery, ride-sharing, and mobile offices and storefronts. Toyota hopes to start testing the vehicle in the early 2020s. Toyota revealed a self-driving concept vehicle, the e-Palette, at the International Consumer Electronics Show (CES) in Las Vegas on Monday. The electric, box-shaped vehicle will come in three sizes. The largest will be around the size of a bus and be able to haul freight and make large deliveries, while the smallest will be compact enough to travel on footpaths. 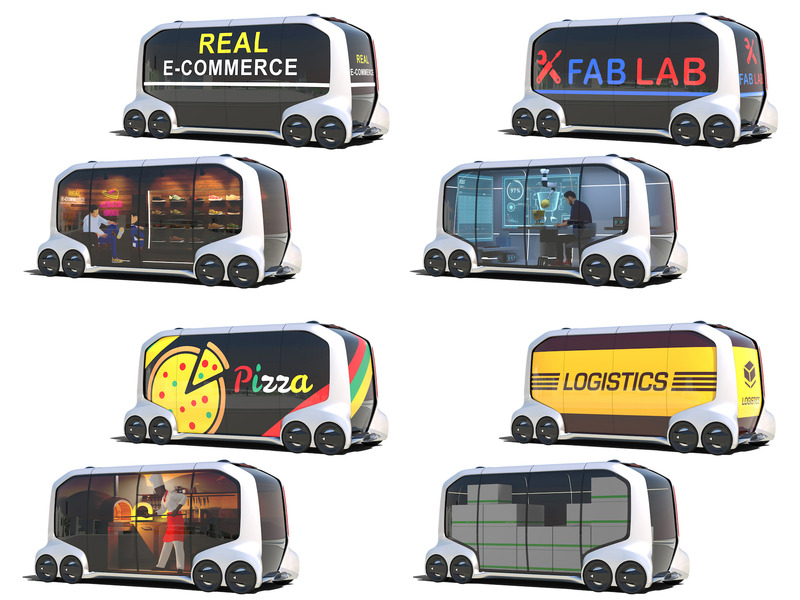 Toyota envisions the e-Palette will serve a variety of potential uses, allowing businesses to deliver goods, transport people, or use the vehicle as a mobile storefront or office. Toyota will design the vehicle with input from companies like Amazon, Didi, Mazda, Pizza Hut, and Uber. Toyota hopes to start testing it during the early 2020s and integrate the e-Palette into the 2020 Paralympic Games in Tokyo. ToyotaThese are some of the potential uses Toyota envisions for the e-Palette. In 2017, Toyota introduced a similarly futuristic concept vehicle that would have airless tires.